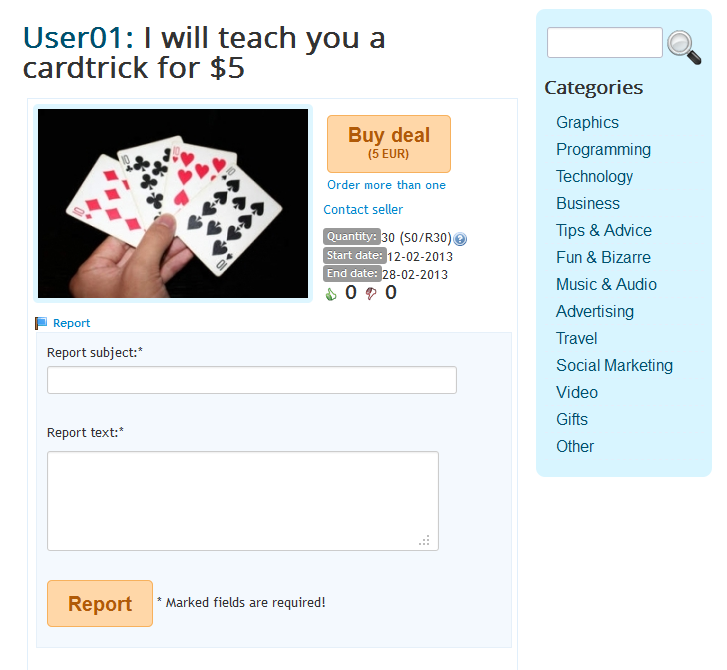 Micro Deal Factory comes with a user-friendly rating system based on using the thumbs up/down. You can only rate deals which you have purchased and have a confirmed payment. 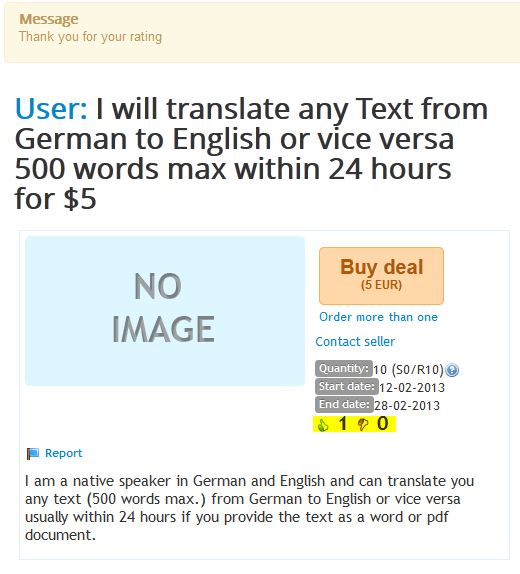 Rating is available only once regardless of the quantity purchased per deal. 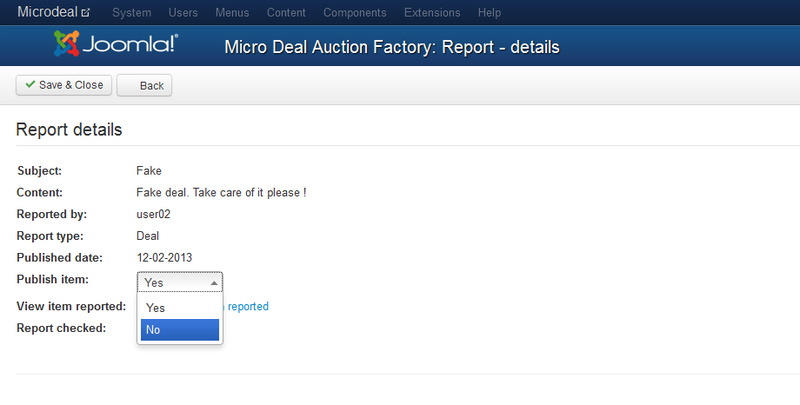 In case you find something inappropriate on a deal or comment you can report it by clicking on the Report button and adding a subject and the reason for reporting. An administrator will review it afterward on the backend and take the appropriate measures. The Reports page, from the backend, allows you to check all the reports made on your website. You can check the subject, publish date, the type of report (blue flag for report on a deal and green flag for report on a comment) and the author. To take the appropriate measures on a report simply click on it. By doing so, you can unpublish the item by selecting No on the Publish Item dropdown list. This will hide the respective comment/deal. 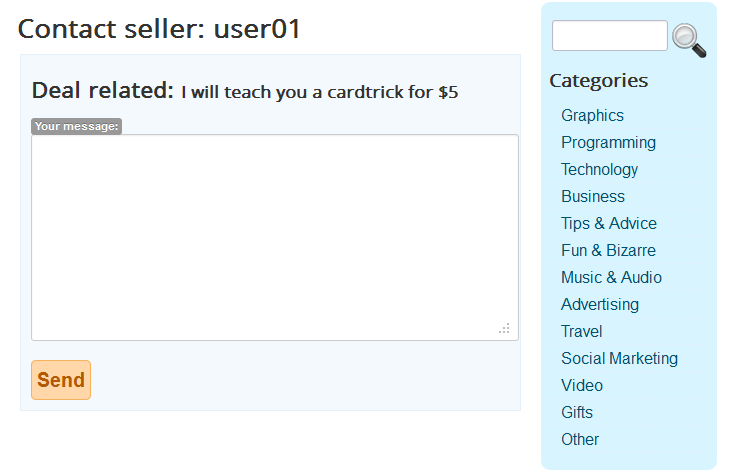 Micro Deal Factory gives users the opportunity to interact with the sellers by sending them private messages. Click on Contact seller which is available on the pages of all the available deals.